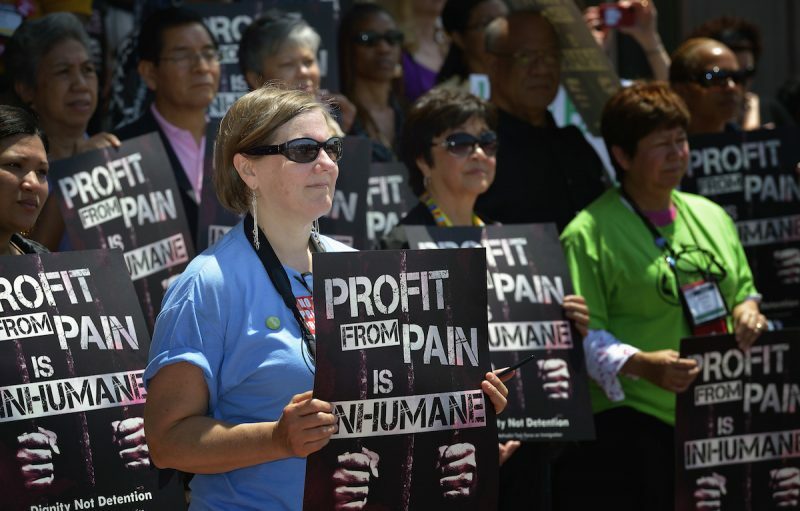 The cruelty of Immigrations and Customs Enforcement (ICE) has drawn the nation’s attention to the injustices faced by immigrants striving to build a better life in the United States. Family separation isn’t happening just at the border. 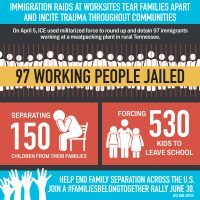 It’s happening at workplaces, schools and homes across the country, where the constant presence of ICE agents means that families live under the perpetual threat of deportation. Holding immigrant children and families in detention camps is horrific. 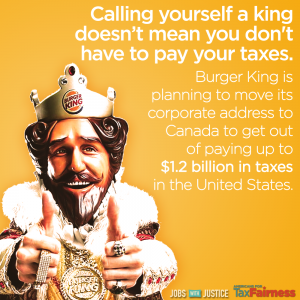 But for some corporations, it’s also very profitable. That’s why employees at Microsoft are calling on the company to cut their $19.4 million contract with ICE. 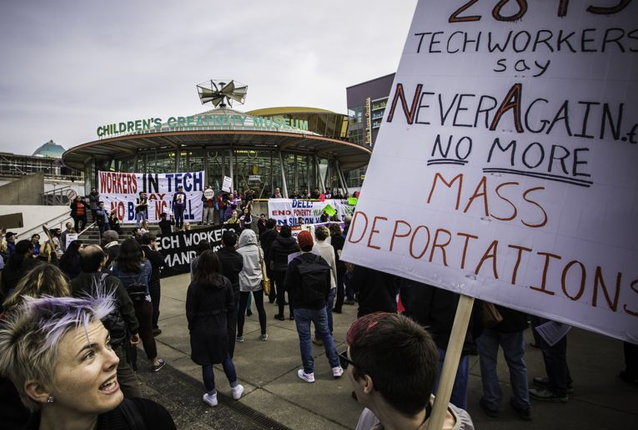 Other big tech companies like Salesforce, Dell, Motorola, and Hewlett Packard Enterprises are also coming facing pressure from their employees to cut ties with ICE and Customs and Border Protection. Will you have the backs of these brave working people? Join us to call on Microsoft and other tech companies to live up to their promises, end their contracts with ICE, and stop making millions from the separation of families. 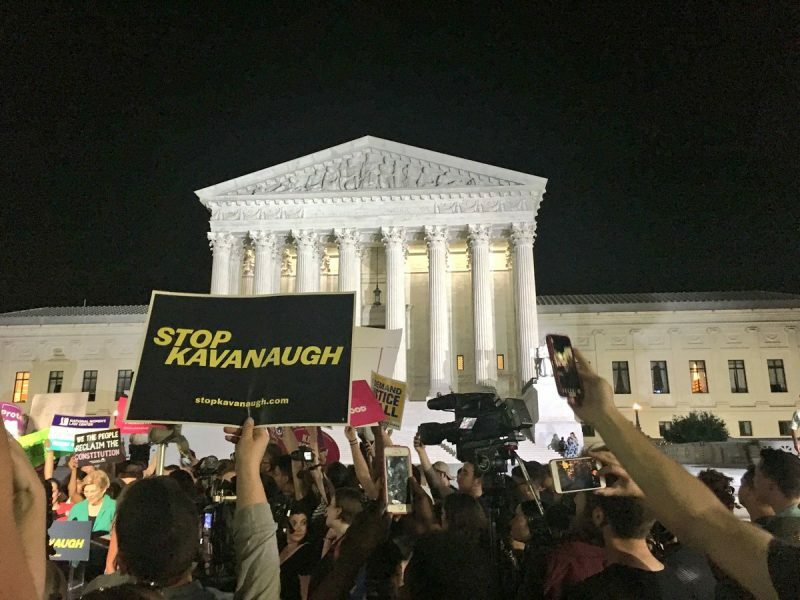 President Trump has picked Judge Brett Kavanaugh to replace Anthony Kennedy as the next justice of the U.S. Supreme Court – and we need your help to stop this dangerous nomination. Kavanaugh’s previous rulings raise grave concerns about whether he will protect our freedom to join together in strong unions and set family sustaining standards over our safety, benefits, and pay or if he will continue to side with corporations and the wealthy few. On the D.C. Circuit Court of Appeals, Judge Kavanaugh routinely ruled against working families, rejecting the right of women and men to receive employer-provided health care in the workplace. He sided with employers to deny employees relief from workplace discrimination. Kavanaugh’s opinions also suggest he will align with Trump to gut the Affordable Care Act, allowing profitable health insurance companies to discriminate against millions of people with pre-existing conditions. We won’t stand by as certain politicians and greedy lobbyists rally to seat someone on the Supreme Court who will continue to rig our economy in their favor. We can build momentum to derail this nomination if enough of us come together and speak out. 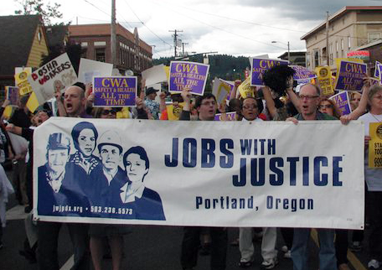 Our representatives in the Senate must reject this nomination and demand a nominee who will protect the rights of working people, uphold our constitutional values of equal justice to all, fairness, dignity, freedom, and democracy. Write an email to your senators now! 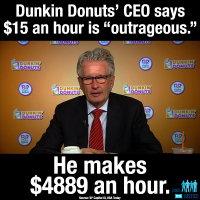 Corporate CEOs and wealthy billionaires just scored a big win in their war on working people. But we’re not giving up. Despite this ruling, we know the truth. No court, no greedy CEO, no corporate bully will stop working people from exerting their power in numbers. Join us to pledge your unrelenting support for the teachers, bus drivers, nurses, first responders, sanitation workers and countless other who sustain our families and neighborhoods. Together, we will continue to fight for strong unions, well-funded public schools and services, and come together as we did in our past. Pledge to fight in solidarity with public employees and all working people! Add your name today and then share this pledge with your family and friends to help build our movement. 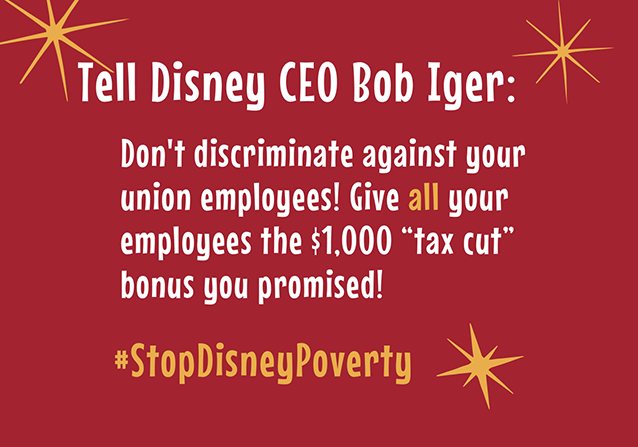 Disney and its CEO Bob Iger are discriminating against 41,000 working people fighting for a better life for their families. On Jan. 23, Disney CEO Bob Iger joined a number of major corporations announcing bonuses as a benefit from the federal tax cut. At Disney, that meant 125,000 employees would see a payout in the amount of $1,000. But while Disney offered most Cast Members the bonuses with no conditions, for over 41,000 union members in Orlando, FL and Anaheim, CA currently in contract negotiations, there was a catch: They must agree to the company’s insulting contract proposals. Together with their unions, the people who feed, entertain, serve and clean up after guests at Disney theme parks are demanding a $15 living wage. But even after a new report revealed that 73% of Disneyland crew members do not earn enough for basic expenses every month, and 11% have been homeless, the company still refuses to budge. So-called family-friendly businesses like Disney should not go out of their way to make life harder for the people who work for them. The cast members who make Disney so successful deserve job standards and wages that value families, NOT broken promises. Add your name to tell CEO Bob Iger to pay all Disney Employees the bonuses he promised them and to go back to the bargaining table with their unions. Republicans in Congress want to give big corporations and the super wealthy a tax cut, and they want to do it before enough of us wise up. To pay for the massive handout to the wealthy, Republicans want working people to foot the bill. The Trump-Ryan tax scam would also make dramatic cuts to programs like Social Security, food stamps, Medicare, and Medicaid. And at the last minute, Republicans in the Senate snuck in a provision that would repeal a key measure of the Affordable Care Act. 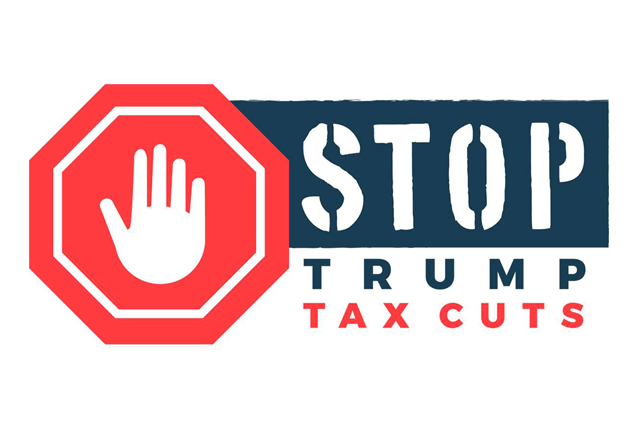 Let your Senators know that you oppose this tax scam. Enter your phone number and zip code below to get connected to your Senators’ offices or dial 1-855-973-4213 to connect to your Senators now. Protect working families: Stop Trump’s tax cuts for the wealthy CEOs & profitable corporations! President Trump, Republican leaders in Congress, and lobbyists want to give massive tax breaks to millionaires and wealthy corporations. To pay for their scheme, they want to cut between $4 and $6 trillion from Social Security, Medicare, Medicaid, public education and other critical services. Enriching the 1% and big corporations by slashing public services working families and communities depend on is the healthcare fight all over again! Make your voice heard. Sign our petition telling members of Congress to reject this greedy budget plan! Tell Congress: Hands off our Medicaid, Social Security, Medicare, and education! More than 21,000 people who work for AT&T Wireless are standing up to powerful corporate interests for good jobs and a better future for us all. AT&T rakes in huge profits – earning a record $13 billion last year. Yet the telecommunications giant wants the men and women who make them so successful to agree to pay cuts and outsourcing. The team at AT&T Wireless is pushing back, and ready to strike against working more for less. Unite with them in their emblematic fight against corporate greed. 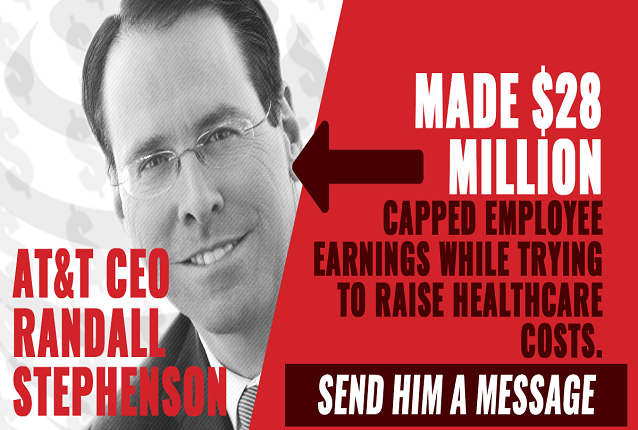 Write AT&T’s CEO Randall Stephenson to support them reaching a contract to save family-sustaining jobs. 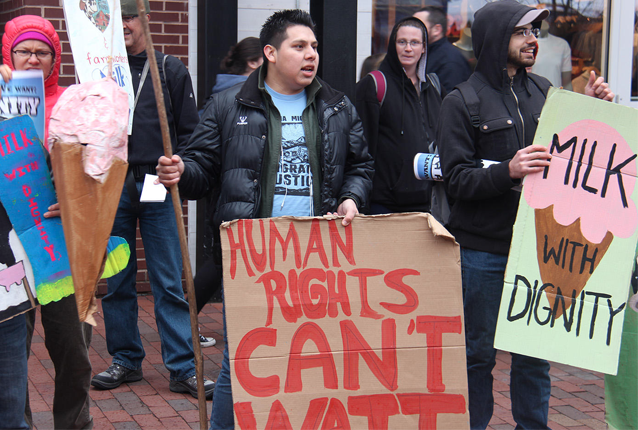 Ben & Jerry’s: Stand for Farmworkers’ Rights! The people who work on dairy farms throughout the Northeast toil with dangerous, backbreaking conditions for grueling hours and low pay–often without breaks. In 2015, Ben & Jerry’s agreed to do something about it – and committed to join a landmark program to stop abusive, inhumane treatment of the people who work for their dairy suppliers. Two years later, the company hasn’t joined or implemented Milk With Dignity at all. Ben & Jerry’s still can do the right thing, if enough of us speak up. Send an email to Ben & Jerry’s CEO, Jostein Solheim, and urge him to make good on his commitment to join and comply with the Milk With Dignity Program, without further delay! 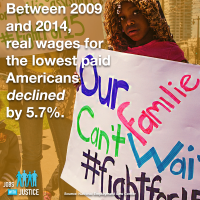 When Congress returns from recess, the House will take up the “Working Families Flexibility Act” (HR 1180.) This bill offers working people a false choice between time off and money. What it’s really doing is stealing overtime pay from working families, further eroding basic protections for working people. Overtime pay is an opportunity for working people to earn a little more while creating a disincentive for employers to overwork employees. 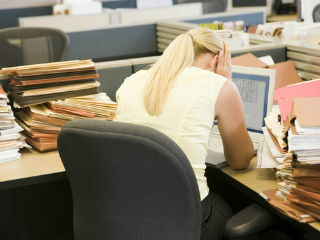 The misnamed “Working Families Flexibility Act” would allow employers to borrow their employees’ overtime pay interest-free, without any security, putting it at risk for workers at the 400,000 businesses that go out of business every year. Write your representative today and tell them to reject the “Working Families Flexibility Act” and maintain overtime protections for millions of working people. Most low- or moderate-wage working people whose paychecks are not enough, would always prefer to work extra hours to receive extra pay, not receive comp time with no guarantee they can ever use it.